The latest entry in Sid Meier’s genre-defining Civilization series is due out this Friday, October 21, and you probably want to know exactly when you can start clicking “one more turn” like a lab rat at the food dispenser. 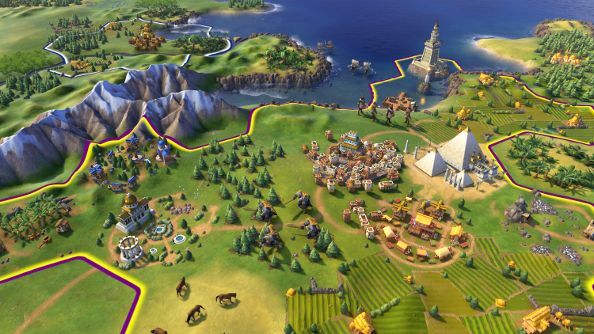 To get you primed for release, why not read our Civilization VI review. Note that, unlike many games these days, these times are not simultaneous. Our readers Down Under will get to play first, as AEDT is 10 hours ahead of BST, and 14 ahead of Eastern Time. 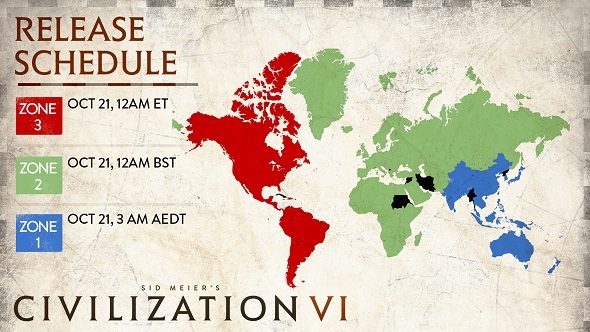 In fact, you could be living in China and playing Civ VI seven hours before a neighbour in Mongolia got to jump in. For more information, Firaxis have provided their own guide. Pre-loading is live on Steam now, so if you want to play when it unlocks, make sure you log in at some point before the weekend and get the download started. For those of you taking your time over the purchase, we’ll have our review up as soon as we can. In the meantime, Joel and Phil have done a series of Let’s Plays exploring the many reworked civs and victory types, so check out our YouTube channel if you fancy watching some gameplay.